Works. 2m, 15spst, 7c, el.pn. Gt:8.8.8.4.2.8. Sw: 8.8.8.8.4.8. Ped: 16.16.8. 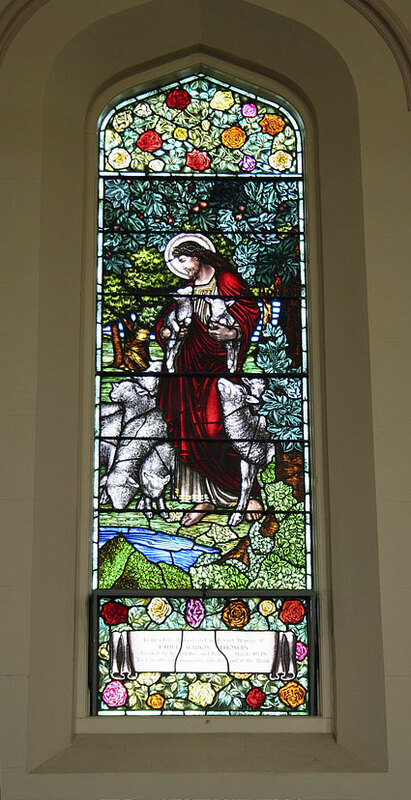 At the turn of the 20th century there was a move by the Baptists to establish new churches in the growing suburbs. 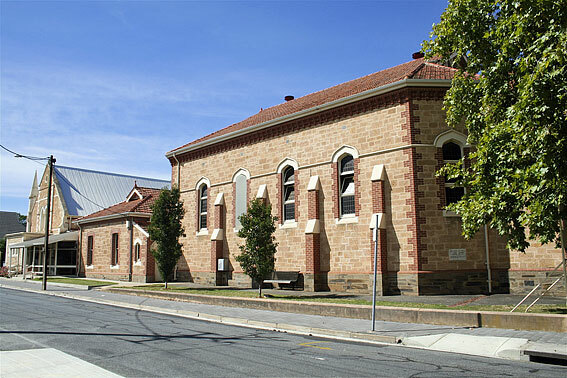 The village of Unley had been separated from Mitcham and declared a corporate town in 1871. A block of land was first offered in Malvern but rejected in favour of Northgate Street. 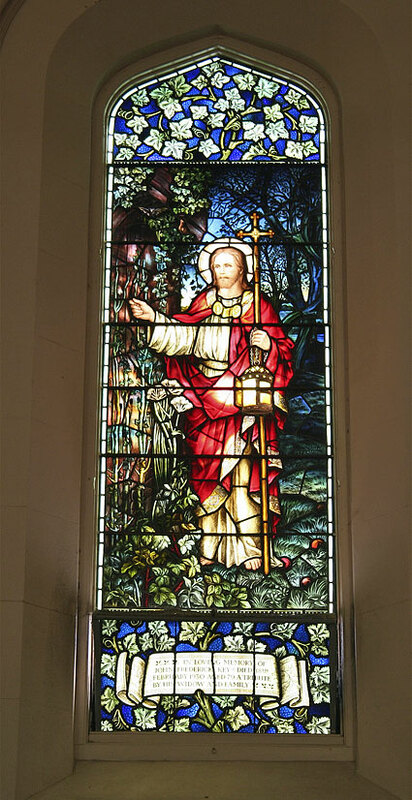 Although it would have been more prominent on Unley Road, the Revd S. Fairey, who had been at Glen Osmond and Knightsbridge, suggested the dust of a main road to be a deterrent. 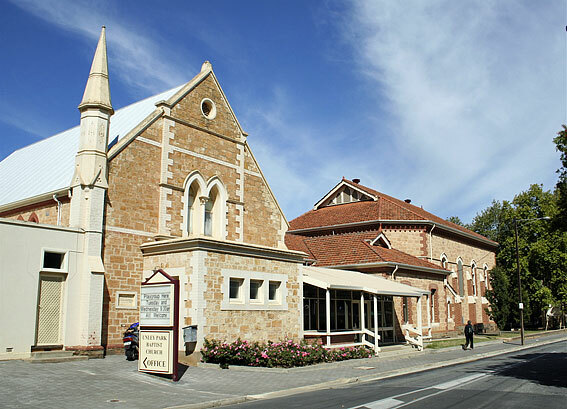 The current church complex has grown from the original building, now the hall to the east, to the interconnected structures of today. 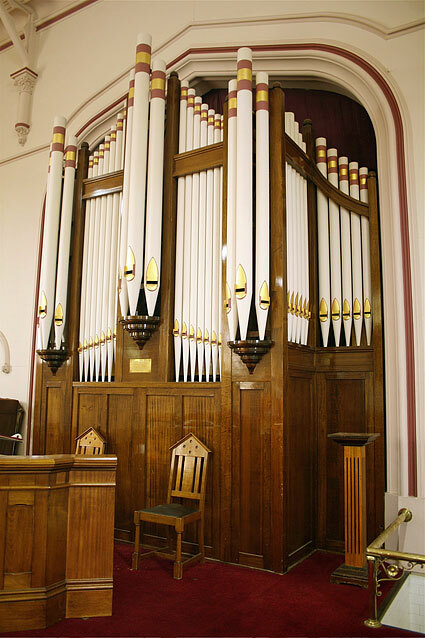 Music had always been a prominent feature of Baptist worship at Unley Park, though not permitted through communion. 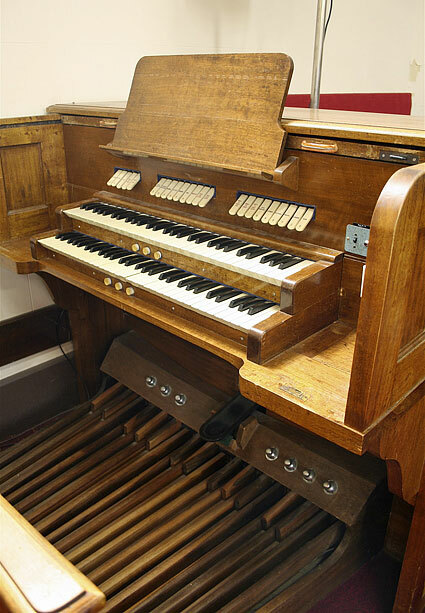 Initially a reed organ was hired until finances permitted the acquisition of the pipe organ. 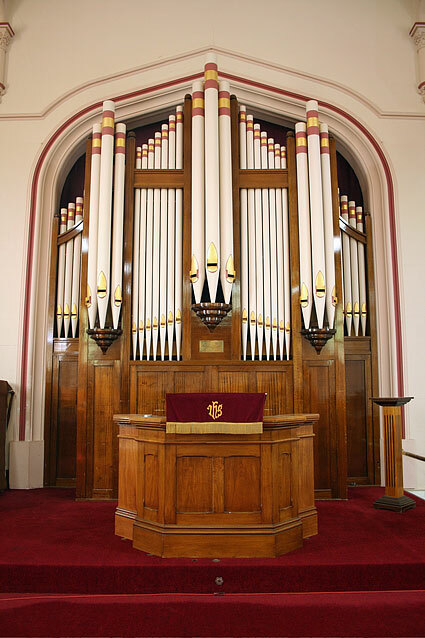 The casework, with three towers and six flats, and banding on the upper parts of the pipes, is an elaborate example for the period and harkens back to the designs of J.E. Dodd, earlier in the 20th century. 3 Ibid. 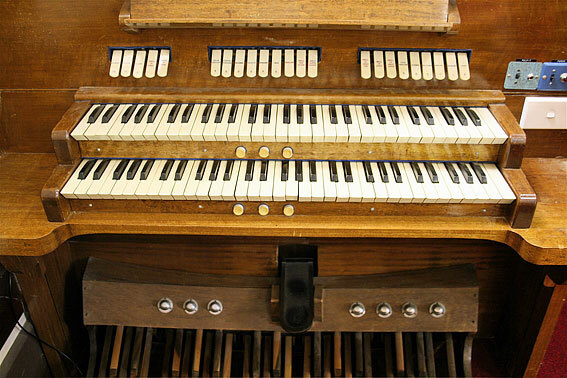 Note further research is needed to verify the provenance of the organs offered prior to the current instrument. 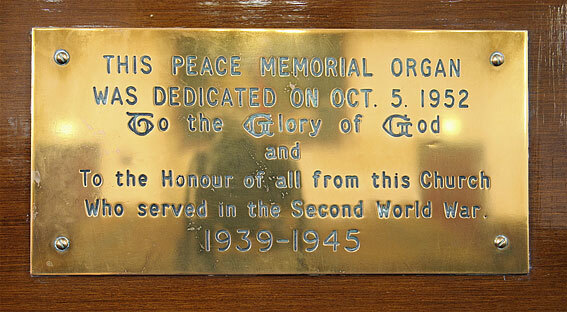 5 Diamond Jubilee op.cit., specifications were completed in March 1947 though the contract was not signed until March 1950.